I love to hear from my newsletter subscribers: where they’re at with their businesses, what they’re excited about, and where they’re feeling stuck. Sometimes I send a quick reply with a link to previous blog posts, and sometimes I get more in depth with my reply, to share here on the blog. Become a member! It gives you direct access to my inbox. Today we’re talking about how to get more sales on Shopify – or how to get any sales on Shopify! Shopify doesn’t have a built in search engine like Etsy, because it’s not a marketplace. It’s your own independent shop, which is great, and what you want. But with your own shop, you are responsible for every customer that comes through your virtual door. That’s a very different feeling for some Etsy sellers, and this Q&A from an Aeolidia subscriber sheds some light on the difference, and what to do. Hi Aeolidia, I make 100% of my income from Etsy and that is a scary thing given my business is now down 70% from only a month ago. I need to make changes but not sure what. I CANNOT afford to throw money at the wrong thing as I am barely scraping along as it is with my declining sales. I am thinking of building a Shopify site that more or less will duplicate my Etsy shop but am concerned that having a duplicate web presence will hurt rather than help. Also, generally speaking what is the difference in overall monthly sales I can expect from Shopify over Etsy – all else being equal as far as product, pricing, etc…. thanks so much for your time. Good to hear from you! My “tough love” answer to your question is coming your way! You are correct that you don’t want to duplicate content, but that is solved by giving your products different names and writing new descriptions, something that could help you with your search engine strategy. With as many products as you have, that could take you a bit of time, but it takes work to make money online. I’d just do it. Please note that you can’t expect any sales when you set up your Shopify site at first. They will not send you traffic the way that Etsy does. Part of what you’re paying for at Etsy is the benefit of being listed in their internal search engine. Creating your own site on Shopify is an important part of a long-term strategy, but it’s not in any way a “quick fix” for sales that are dropping on Etsy. The problem with relying entirely on Etsy is that you’ve built a business without learning how to market a business. Knowing how to market your business is crucial to longevity. There are five main ways to bring traffic to your website. Having a strategy for Search Engine Optimization (SEO) and getting ranked highly for your most important keywords on Google. Posting on social media and making sure the content on your website is eminently shareable. Gathering online press and publicity by pitching your products to influencers and/or paying for advertising. Bringing in return visitors by making good use of your email list and providing a great customer experience. Creating general brand recognition by promoting your business offline, in print publications, at in-person events, and/or your own brick and mortar store. Having a business blog is an enormous help in accomplishing #s 1, 2, and 3. Promoting a busy business is a full time job! Believe me, I know, I do it all day every day. It can be very rough in the early days or years of a business, when it’s only you, one person, trying to design, create or source the products, build the business, and market it on top of that. That’s why Etsy is such a great way to begin and to test the waters. After too long, though, it becomes a crutch, and you don’t learn to walk on your own. If you want to build a business that can become something more than it is now, I’d urge you to begin learning now how to attract your own audience, encourage repeat business or word of mouth, and driving traffic to your shop. Purchase a domain name and point it to Etsy, for starters. Then promote your domain name online. The next step would be to build a simple site, possibly without shopping, to drive traffic to. This simple site would link to your Etsy shop, but also share more about your business and allow people to sign up for your mailing list. A more advanced step is to set up your own shop on Shopify. You send all the traffic and press that you can to your own site. Let Etsy send you customers from their search engine. It’s a lot of work. The businesses that I’ve seen make it to long term success are working hard on their businesses all the time. It’s never easy! 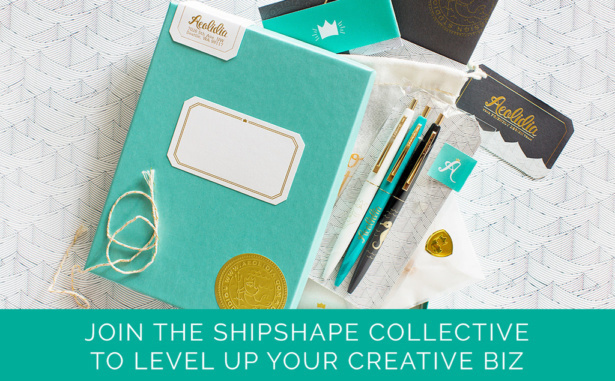 If you’re ready to put the work into it, though, you can slowly begin to take control, and have Etsy be one of your many traffic streams, not your entire business. I wish I had an easy answer, but the only answer to success in a product-based business is working really hard all the time until you get profitable enough to hire some help. Etsy is one of the few “quick money” types of things to do (and only for the lucky few that do well in Etsy search) and as you’ve seen, you can’t rely on it to work for you forever. I’ve written about this before, but I think I didn’t go back far enough to the very basics. So thank you for asking the question. Best wishes! Our ecommerce setup checklist will help you get started selling online without missing a step. Awesome! 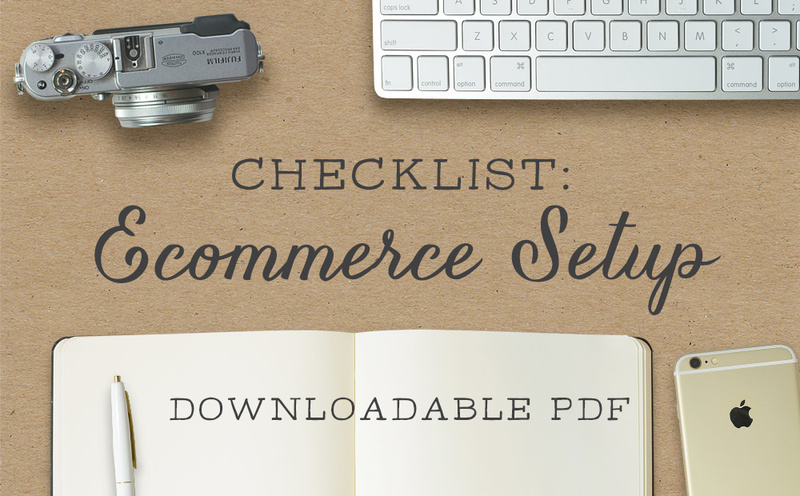 Your E-Commerce Setup Checklist is on its way to your inbox. Ready to hire some help to get sales on Shopify? I’d love to talk to you about the return on investment for hiring Aeolidia to design a custom Shopify site for you. In fact, I am sending an email to all of my newsletter subscribers about what we do to get you more sales, and what you can expect out of a project with us. Subscribe today and you’ll get that advice, as well as a treasure trove of other small business gold. I rarely have time to read emails. But I’m NEVER disappointed when I read yours! Great post on getting more sales on Shopify. Another great way (well at least for some) is driving traffic to stores with Pinterest. I gave this a shot but unfortunately, it wasn’t working that well. Have you used Pinterest as part of your strategy before? If so how did it work out for you? Pinterest is a mystery to many people, but yes, it can be a huge driver of traffic if you know how to utilize it. I always encourage people to think of it like they would SEO (because Pinterest is a search engine) rather than as part of their social media strategy.